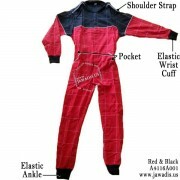 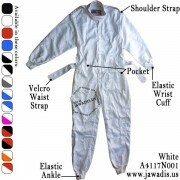 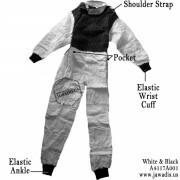 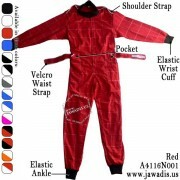 Jawadis Adult Go-Kart car racing suits feature elasticized stretch fit cuffs, 2 front pockets, Velcro belt, elasticized waist, Velcro collar (dyed color), shoulder loops, PC Fabric with a FREE carrying case. 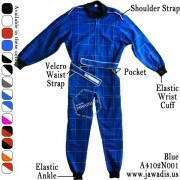 Available in adult sizes are our best suits and for only $79. 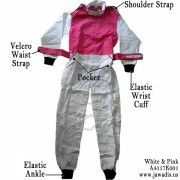 Backed by money back guarantee! 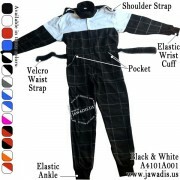 Shop our race karting suits today!